It's always a pleasure to see the nice ladies in the HSBC branch near to my workplace, not least because it usually means I am paying money into the Scouts account! We must also thank the kind mum who donated her time and materials to make the wonderful camp blankets which many of the youngsters have bought.  Don't forget, you can now raise funds for Crofton Scouts without lifting a finger (well, almost!) by using the Yahoo-based EasySearch search engine. So far I'm told our searches have contributed £0.11 to our account! Hopefully this figure will rise as word spreads about this feature. Webb Ivory orders are also keeping Squirrel busy with goods being delivered well in time for Christmas this year. We'll let you know the commission raised in due course. Finally thanks to all who attended the Virgin Vie party at the Royal Oak - this raised just over £100 for scout funds.